Score for Daniel. Saturday May 21st and Sunday May 22nd. 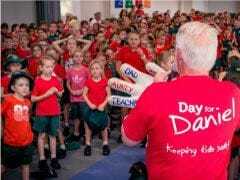 Every Football Club across Queensland is encouraged to participate in Score for Daniel to help spread child safety messages to all Queensland Football Club Members and to help raise funds for the Daniel Morcombe Foundation. 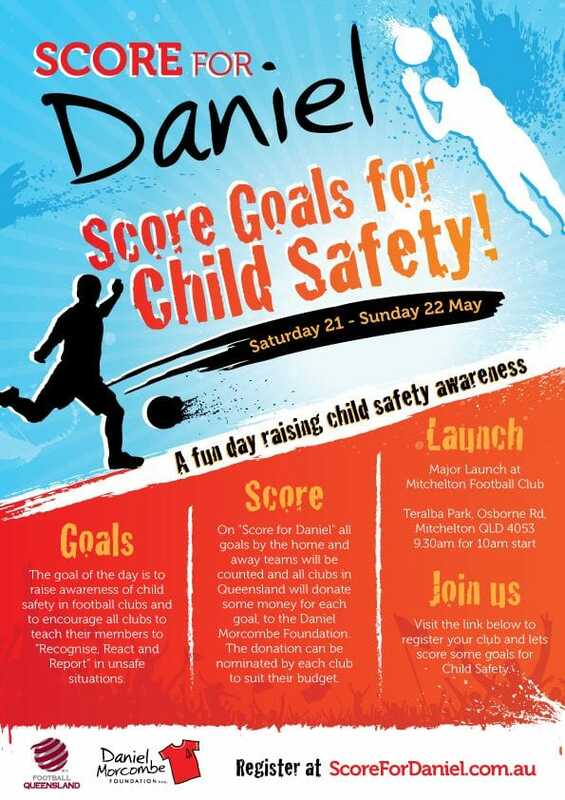 A nominated $ amount will be given to the Daniel Morocmbe Foundation for every goal scored on the day.